Is This The Way Phil Pringle Should Run His Church? When key church conferences or events are weeks away, Phil Pringle executes his teachings in rather peculiar ways. To the average person it sounds like what they are hearing in a Sunday service or bible study is biblical teaching. Unfortunately this is not the case. It is becoming more evident that C3 members are being seduced by innovative marketing ploys for Phil Pringle’s conferences and events. People need to understand that Phil Pringle can often have a rather different agenda when he is preaching. It is of our opinion that his marketing ploys are becoming more manipulative. “People can become anything under the right conditions.” – Phil Pringle, You The Leader, 2005, pg 267. Then I follow the plan.” – Phil Pringle, You The Leader, pg. 234. “What we preach is what we get. We are farmers sowing seed. If we are unhappy with the harvest we’re reaping, we should sow different seed. 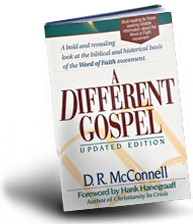 If we want different results, we preach different messages.” – Phil Pringle, You The Leader, 2005, pg 215. It is unsettling to know that a pastor might be using his position and sermon time to manipulate people. This is what we have recorded Phil Pringle doing in the past. 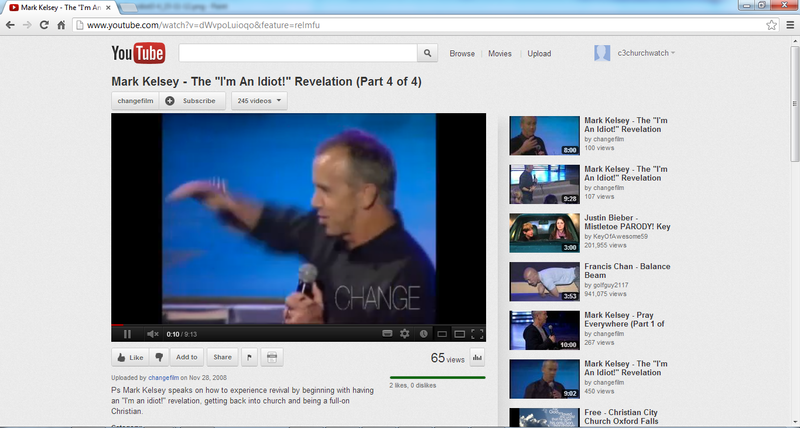 HAS ‘PASTOR’ PHIL PRINGLE CHANGED? You may be thinking Phil Pringle went through an unusual phase in his ministry. Not so. We have seen him behave like this for a few years now. This year we have seen Pringle misuse his power and position to market his events through his teachings. Specifically this years Presence Conference 2013 and Vision Builders 2013. It says: “don’t you have a saying?” We all have a saying. – We can say one thing, but God says this: we can’t go without the presence of God. – Moses and the people set out, but they pleaded: “Please God, don’t let us go without your presence. The presence of God defines who you are. When people meet you they don’t just experience you, they experience God. The church is a place of the second chance – but the church is also the house of promise. * Are you ready for the hour we are about to step into? Are you willing give [sic] him all of your life? So what has this verse got to do with God’s presence™? It doesn’t. But what is Pringle trying to say? That God will override our sayings to say something else? Pringle used ONLY John 4:35 to explain that, “We can say one thing, but God says this: we can’t go without the presence”. This could be true BUT Jesus in his next breath says in AGREEMENT that, “the saying ‘One sows and another reaps’ is true“. So… what is going on? Why did Pringle exclude this? If he kept the scripture in context wouldn’t people be able to see that God can be in agreement with our sayings? As a reader, are you ready for the hour you are about to step into: Presence™ Conference 2013? How is it possible to give God all your life if you do not go? Don’t you realise that God is telling you that you can’t go without the Presence™ of God? Can’t you see that if you say “I might not go to Presence™ Conference”, God might be telling you to do the opposite? It’s wrong for Phil Pringle to make Jesus out to be a liar. When you read the verse in its context, the entire bible study is debunked and made pointless. This seems to indicate that Pringle is misleading his entire Connect Group network with this study to try and get people to go to his Presence Conference. Quite frankly this is despicable behaviour coming from a ‘pastor’. 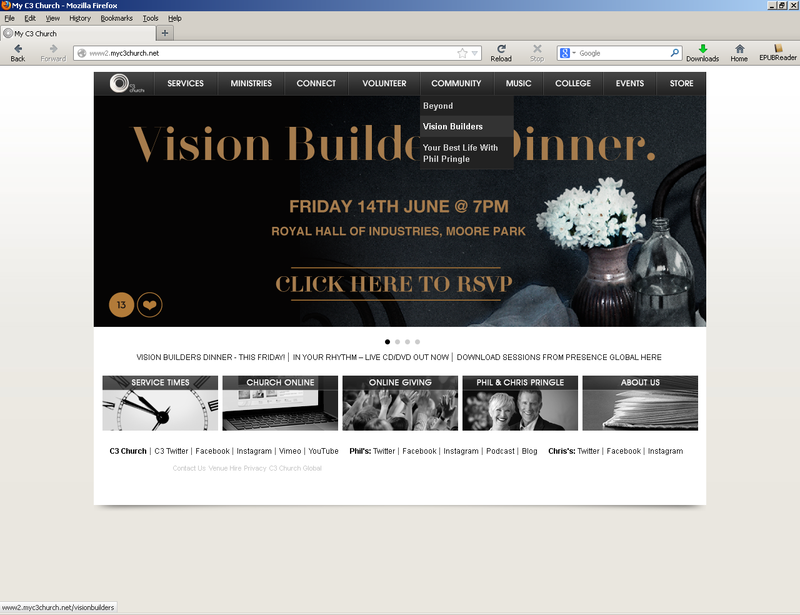 WHAT IS THE C3 VISION BUILDERS DINNER & THE C3 VISION? Before looking at the Vision Builders marketing ploys Pringle weaves in his teachings, it is important that you understand the ‘Vision Builders’ dinner. We’ll let C3 explain what it is. 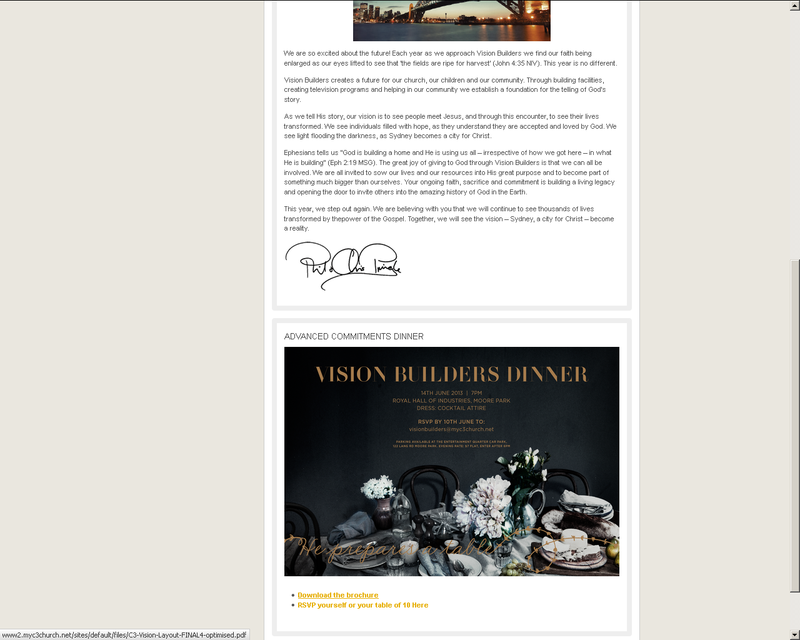 With this in mind, it is time to look at how Phil Pringle convinces people to sign up for the ‘Vision Builders’ dinner so they can make financial pledges to C3 Church’ building initiatives. Here is what you will find advertised on the myc3church website. Ask yourself this question: Who “prepares a table” for you? God or C3? To reduce the size of this article, we will only look at C3’s Vision Builders video and C3’s latest ‘bible study’ Connect Notes. There is something seriously wrong with the video presentation. Do you think this advert has gone one step further than worldly marketing? How do you feel when you watch this? Who is really preparing the table? God or Pringle? Who is really asking people to give cash? God or Pringle? Who is asking you to expand in your sacrificial giving? God or Pringle? The lines were deliberately blurred to entice and pressure C3 members to give sacrificially. But would God really want people to give financially at this event? If that’s not disturbing enough, look how Phil Pringle in the last two weeks planned out the C3 Church bible study connect group notes. * Have you ever had a time of stretching with God? * Are you ever tempted to “bail out” or “dig up the seed” in waiting for God to grow something in you? * Does it encourage you when God says you shall expand or His people will inherit? * What is your part of God’s grand design? 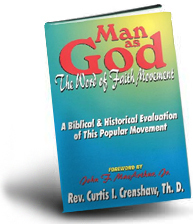 Are you looking to the Bible to affirm the plan of God? * Discuss how our church leadership and vision is always exhorting us to expand and look out. * How are you investing in the future of His magnificent house? How can we each step up rather than only attend meetings? * Have you ever had a time of stretching with Phil Pringle pressuring you to give money? * Are you ever tempted to “bail out” or “dig up the seed” because Phil Pringle keeps telling you, “God [wants] to grow something in you”? * Does it encourage you when Phil Pringle says you shall expand or His people will inherit? * What is your part of Phil Pringle’s grand design? Are you looking to the Bible to affirm the plan of Pringle (or testing what He says to what God says)? * Are you involved in the width, the length, the depth or the height of Pringle’s financial plan? What is Pringle calling you to do? * Discuss how you are investing in the future of Phil Pringle’s ministry? How can we each step up rather than only attend meetings? What’s the answer to the last question? “How are you investing in the future of His magnificent house? How can we each step up rather than only attend meetings?” Answer: Go to Vision Builders. Is this biblical? Do people realise they are being financially duped by Phil Pringle? Do they know what they are hearing is not the biblical context but a deceptive marketing scheme? How should members feel if they are being manipulated like this? Is this the way Phil Pringle should run his church? 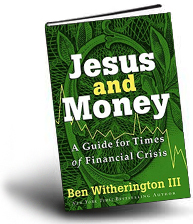 Please pray that members get wisdom and and understanding so they do not put themselves under financial stress. Here is the latest Vision Builders booklet. If you would like to find this document on the myc3church.com website, scroll over the button at the top of the page titled ‘Community’ and click ‘Vision Builders’. When the next page loads, scroll down the page until you hit “Download the brochure”. It will take you to the Vision Builders pdf. Our first article on C3 Church Watch was pointing out Phil Pringle’s Vision Builders Campaign was exploiting C3’s poorest members. Sadly, this hasn’t changed. In our third article ever on C3 ChurchWatch we raised our concern with ‘Christians Against Poverty’ (CAP) working alongside the immoral nature of the C3 cult. We do admire the work CAP does in people’s lives. However, we would strongly suggest that CAP would distance themselves from Christian City Church Oxford Falls. Why? In the 2013 ‘Vision Builders’ brochure, C3 writes about their achievements through CAP. They now consider CAP’s achievements as their own. So CAP has led 130 people to Christ? What’s wrong with CAP doing this? Nothing is wrong if members of the CAP are genuinely concerned leading people to Jesus Christ. However, they are leading these people into a Word of Faith cult that scams people of the little money they have. This is tragic. We have enough evidence to say that the C3 institution preaches a different gospel and binds people to give sacrificial financial offerings so God can bless them materially. As Dr Choo said about CHC, so too are his words applicable to C3 Oxford Falls: “This is not Christianity. This is not the gospel. This is a SCAM.” Since when is it right to exploit people who are in “out-of-control” debt? 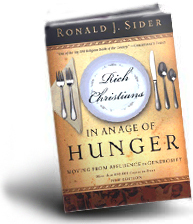 “I am in significant debt, should I pay off my debts or give to Vision Builders? So why would the CAP endorse a cult that teaches it’s members to give money they don’t have to ‘the vision’ of Phil Pringle? The idea behind giving money to Phil Pringle’s prophetic vision is that God will materially bless the giver. You will not find this ‘Christian’ teaching anyway in scripture and is nothing more than a financial con job. This is not the first time the C3 cult has decided to financially exploit it’s poorest members. This is the fourth year the C3 cult has had this information in it’s Vision Builders campaign material. You’d think by this stage they would have removed it. Instead we have continually recorded C3 Church exploiting their financially struggling members in their heavily marketed Vision Builders campaigns. Why are Christians in C3 Church not concerned about this? Why is CAP supporting C3 Church? Are they not aware that the people they are taking out of poverty are bought back into poverty when they are introduced to the C3 cult? Why is Phil Pringle exploiting the poorest people in his congregation? Phil Pringle Says That Sun Ho Is “Exhonerated from… all charges against her”? Really? The Commissioner of Charities (COC) released a press statement yesterday (9 Apr) stating its intention to remove 8 suspended City Harvest Church (CHC) leaders from their respective offices at CHC. COC last year, with the consent of the Attorney General, had suspended 9 CHC leaders, including Kong Hee and his wife Ho Yeow Sun (better known as Sun Ho), from their duties as office bearers of CHC. This was done pending consideration of their removal later, under the Charity Act. According to the Act, the suspension orders are valid for a period of not more than 12 months. Before the lapse of the 12-month suspension, COC said that it intends to proceed to the next stage of the process, which is to consider the removal of these individuals from their positions in CHC. This is to protect the charitable property of CHC. The individuals removed may, however, continue with their religious duties which are separate from the holding of any governance or management positions in CHC. COC said that its regulatory action is independent of the criminal proceedings faced by 6 of the 9 affected individuals (i.e. Kong Hee, Lam Leng Hung, Tan Ye Peng, Tan Shao Yuen Sharon, Chew Eng Han and Serina Wee Gek Yin). However, in view of the concurrent criminal proceedings against those 6, COC on 28 Dec 2012 made a proposal to all the 9 suspended individuals that the COC would defer the next stage of any regulatory action (i.e. consideration to remove them) should they collectively agree to a voluntary extension of their suspension orders until 6 months after the conclusion of the criminal trial. COC said this was done purely on a goodwill basis so that the affected parties, especially the 6, could focus on the criminal proceedings. Also, it would allow them to have time later to make their case, should they want to, during the removal process, which COC planned to start after the criminal trial. In the meantime, with the extended suspension of these individuals, the property of CHC continues to be protected. COC said that the deadline for the consent from the 9 was extended twice, and by 7 Feb 2013, 8 out of the 9 suspended individuals had agreed to COC’s proposal to voluntarily extend their suspension orders. COC, in fact, was prepared to consider deferring the next stage of regulatory action even though 1 of them had declined to give consent. However, when the COC later asked the 8 individuals to confirm their agreement to voluntarily extend their suspension (notwithstanding the lack of consent by the 1 individual), only 5 out of the 8 were prepared to do so. 3 had rescinded their earlier agreement. So, in view of the lack of collective agreement among the individuals and the 12-month duration of the suspension orders (initiated last year) endng soon, the COC has no choice but to proceed with the next stage of the process so as to protect the assets of CHC. That is to say, COC will now initiate the removal process as stipulated by the Charity Act. In respect of Kong Hee’s wife, Ho Yeow Sun, after reviewing the evidence against her, COC feel that at this point, there is insufficient evidence that she was responsible for or was privy to any misconduct and mismanagement that may have taken place in CHC. COC said should evidence surface to indicate that she was so involved, it will review her status again. In the meantime, COC will proceed with the removal proceedings against the other 8 individuals. In relation to the removal proceedings, COC has to give notice to the 8 individuals to remove them. And according to the Act, a public notice of the proposal to remove a governing board member, trustee or key officer is also required. It is noted that any such removal of an individual as governing board member, trustee or key officer will mean that the person is prohibited from taking up such positions in any charity in future. The public can write to COC by email to mccy_charities@mccy.gov.sg or by post to the Office of the Commissioner of Charities at 140 Hill Street, #02-00 Old Hill Street Police Station, Singapore 179369, clearly stating “Representations on the COC’s Proposal following the Inquiry into the City Harvest Church”. All representations must be signed off with the full name, NRIC no. and contact details of the person making the representation. The deadline is 13 May 2013. COC has assured that the worship services of CHC can continue as usual. Mark Kelsey Gets An “I’m An Idiot” Revelation? Pastor Nicholas Gervase Charmley and Chris Rosebrough weigh in on a bizarre sermon by Mark Kelsey. 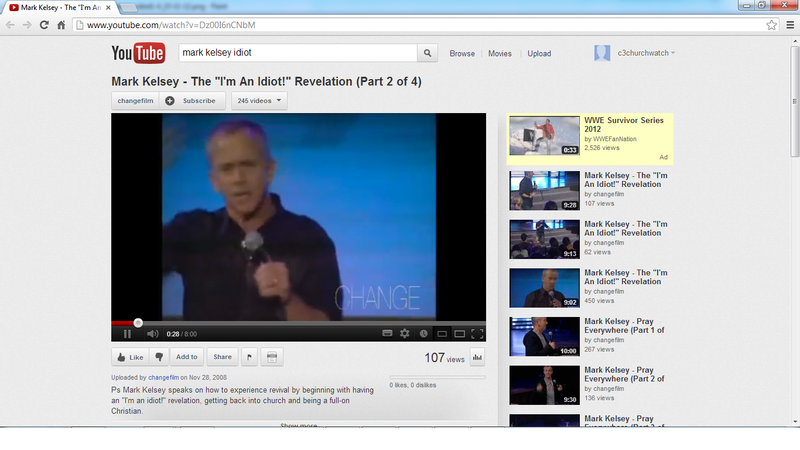 The sermon is titled, “The “I’m an Idiot” Revelation”. If you browse the articles on C3 Church Watch, you will be quick to discover how these emotionally controlled environments and dishonest giving sermons trick people into thinking they are giving money to God. “It has been said that “A difference that makes no difference is no difference at all”, and frankly it seems to me that is what is going on here. 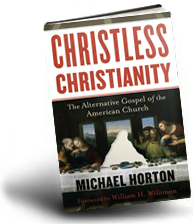 The problem seems to be that he has some idea of what “salvation” is that comes short of the fullness of it, and so he can say in effect “God’s aim for us as Christians is not salvation, but salvation”. Which makes no sense. It’s incoherent, that’s my thought on this.” – G.N. Charmley, 15/11/2012. 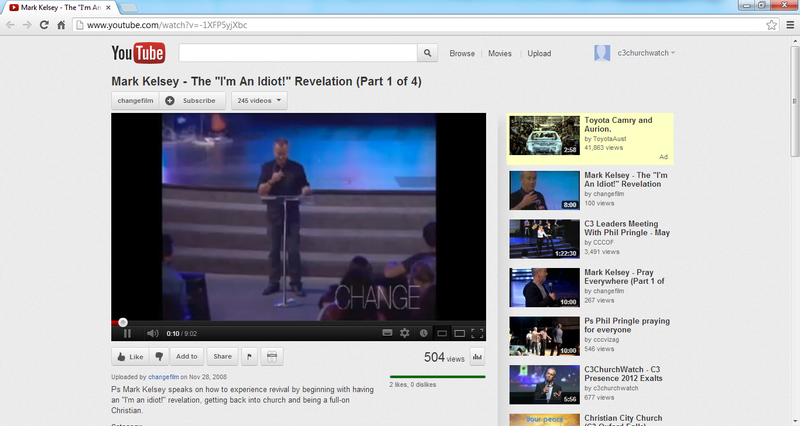 You can watch the original sermon here on youtube. NOTE: SCREEN GRABS WERE TAKEN ON THE 16/11/2012. From ‘Fighting For the Faith’, Chris Rosebrough reviewed another sermon of Phil Pringle in late 2010. Tune in to the start of the review after the first hour in. 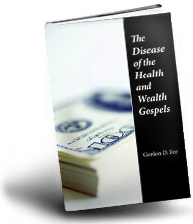 • Granger says Healthy Churches Grow But…. Later we will be providing quotes of Chris Rosebrough below this review alongside comments made by Phil Pringle. Kong Hee gives the impression he is a Christian minister. He recently claimed “I do maintain my integrity”. In part 1 we examined both Phil Pringle and Kong Hee’s credentials. In spite of youtube videos calling Kong Hee ‘Dr Kong Hee’ and Kong Hee addressing Pringle as ‘Dr Phil Pringle’, they have no credibility with their unaccredited doctrines. Now we would like you to decide if Kong Hee carries integrity with the following video of Kong Hee teaching C3 College students at C3 Oxford Falls, Sydney in 2009. Does Hee preach the Christian gospel? Does he run a Christian ministry? “Now I would remind you, brothers, of the gospel I preached to you, which you received, in which you stand, and by which you are being saved, if you hold fast to the word I preached to you—unless you believed in vain. For I delivered to you as of first importance what I also received: that Christ died for our sins in accordance with the Scriptures, that he was buried, that he was raised on the third day in accordance with the Scriptures, and that he appeared to Cephas, then to the twelve. Then he appeared to more than five hundred brothers at one time, most of whom are still alive, though some have fallen asleep. Then he appeared to James, then to all the apostles. Last of all, as to one untimely born, he appeared also to me. For I am the least of the apostles, unworthy to be called an apostle, because I persecuted the church of God. But by the grace of God I am what I am, and his grace toward me was not in vain. On the contrary, I worked harder than any of them, though it was not I, but the grace of God that is with me. Whether then it was I or they, so we preach and so you believed.” – Apostle Paul, 1 Corinthians 15:1-11, ESV. “From now on, therefore, we regard no one according to the flesh. Even though we once regarded Christ according to the flesh, we regard him thus no longer. Therefore, if anyone is in Christ, he is a new creation. The old has passed away; behold, the new has come. All this is from God, who through Christ reconciled us to himself and gave us the ministry of reconciliation; that is, in Christ God was reconciling the world to himself, not counting their trespasses against them, and entrusting to us the message of reconciliation. Therefore, we are ambassadors for Christ, God making his appeal through us. We implore you on behalf of Christ, be reconciled to God. For our sake he made him to be sin who knew no sin, so that in him we might become the righteousness of God.” – The Apostle Paul, 2 Corinthians 5:16-21, ESV. Contrast the Christian message, mission and ministry with Kong Hee and Phil Pringle’s message, mission and ministry. Not only did we just hear from Kong’s lips that they preach a gospel contrary to the ‘save me’ gospel, he also preached the false ‘dominion’ doctrine AND mocked Christians who hold to the gospel of salvation. 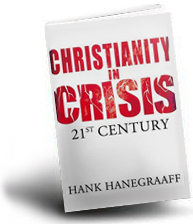 Why does Kong Hee mock Christianity and call it ‘shallow Christianity’? “… if someone comes and proclaims another Jesus than the one we proclaimed, or if you receive a different spirit from the one you received, or if you accept a different gospel from the one you accepted, you put up with it readily enough.” – Apostle Paul, 2 Corinthians 11:4, ESV. “… even if we or an angel from heaven should preach to you a gospel contrary to the one we preached to you, let him be accursed. As we have said before, so now I say again: If anyone is preaching to you a gospel contrary to the one you received, let him be accursed.” – Apostle Paul, Galatians 1:8-9, ESV. Kong Hee claimed brazenly that Phil Pringle and himself want to change the Christian gospel to their own gospel. 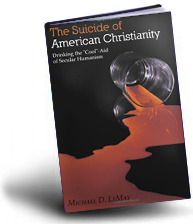 For them to change the cause of the church and to change the message of Christianity is an attack on Christianity. The Apostle Paul would see not see integrity in both Phil Pringle and Kong Hee. The scriptures teach that men like Phil Pringle and Kong Hee are “impostors” and “evil men who are will proceed from bad to worse, deceiving and being deceived” (2 Timothy 3:13). The scriptures also say that men such as Pringle and Kong Hee have a form of godliness but deny it’s power. Therefore we should avoid them and have nothing to do with them (2 Timothy 3:5). The Apostle John takes this further and claims that those like Pringle and Kong Hee who do not remain in the teachings of God “does not have God” and do wicked works. As Christians who love God, do we dare obey His Word? Are we prepared to call Phil Pringle and Kong Hee “impostors” and call them to repent from their wickedness? We will end with more bible verses to highlight how linked the gospel is to salvation rather then to Kong Hee and Phil Pringle’s narcissistic gospel (bold emphasis added). NEW people have come on board City Harvest Church (CHC)after several of its leaders were suspended from their posts by the Commissioner of Charities (COC)on Tuesday. On the same day that founder Kong Hee and four others were charged with misusing over $50 million of church funds, CHC appointed Reverend Phil Pringle and Rev A.R. Bernard as advisory senior pastors to continue providing spiritual leadership. “Pastor Kong is still our senior pastor,” executive pastor Aries Zulkarnain said on Thursday in a statement. Rev Pringle is the founder and senior minister of Christian City Church in Sydney, Australia. Now in Singapore to support CHC, Rev Pringle is himself the target of a self-appointed Christian watchdog group, C3 Church Watch. It has raised questions about the New Zealand-born pastor’s religious credentials and teachings. Rev Pringle moved to Australia in 1980 with his wife, Chris, to start Christian City Church in Sydney. The movement has over 300 congregations globally, a far cry from the 13 people in the first service. Local news reports first mentioned Rev Pringle in 2010, when Kong, 47, was called to help the police who were investigating the alleged misuse of church funds then. He had met the Kongs during their honeymoon. “From the start, I always felt a great affinity with Kong and Sun (Ms Ho Yeow Sun),” he told CHC’s online portal, City News last year. This time we managed to get both visual and audio from Phil Pringle’s Presence Conference 2012 fleece-a-thon. We encourage people who watch this video to research shamanism. Please compare shamanism to the second half of this video, where Pringle is breaking financial spirits/demons off people as they give him money. You will also see TV presenter Jamie Malcolm caught in this financial rort. If you want yet another preview how manipulative the Presence Conference is, listen to Phil Pringle giving his 2009 Miracle Offering. If you want another preview how manipulative the Presence Conference is, listen to Phil Pringle giving his Miracle Offering sermon below (2010). A Scholar On The Holy Spirit? Pringle And The Windy Way. Phil Pringle – God’s Word confirms that you are a false prophet…. 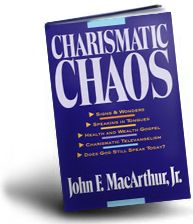 Have Christians lost the art of biblical discernment? The opinions expressed on this site do not necessarily represent the views of all contributors. 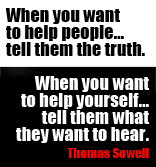 Each individual is responsible for the facts and opinions contained in his posts. Generally we agree but not always.